I don't think there is any better name to replace this town calling ‘Lightning Ridge’ where it is famous for such a beautiful gemstone - BLACK OPAL. It is located in North Western New South Wales and close enough to the border line of Queensland, this town is just so ‘unique’. 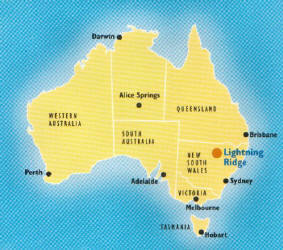 Its distance is about 770km from Sydney and 750km from Gold Coast and will be nearly 10 hours of drive. It happened one night during a terrible electrical storm when a shepherd, his dog and 600 sheep were killed by lightning while sheltering on one of the ridges. 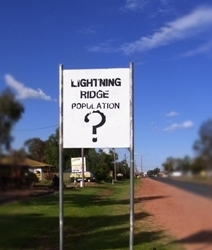 The ‘Lightning’ must have been an amazingly one and since then the name of Lightning Ridge has flourished, even with government departments having used it for nearly 100 years before it was officially registered on the 5th of September,1963. Lightning Ridge's future wouldn't be the same if it wasn't for a person called Charles Nettleton - who was a former gold miner traveling from the White Cliffs via Lightning Ridge in year 1901. He camped with the Ryan family who's accidentally picked up and showed Charles some fiery black stones (later became well-known as ‘Black Opal’), which he had an idea that was an opal but never has seen such kind before. 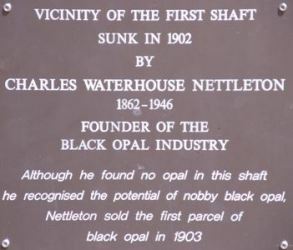 Charles Nettleton did not find gold, but being a mining man at heart, he started his first shaft on the 15th October 1902 at Lightning Ridge. 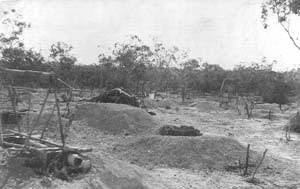 Following the failure of his first shaft in 1903, he has moved across to the different area and that's when he's found a large parcel of quality opals. Not knowing how much it's worth, he showed the opal to a leading Sydney dealer but the darkness of the stone did not impress the dealer at all, it's been offered for only $1 for the lot. Although his attempt did not succeed, Charles Nettleton has never given up and instead he has became more determined to keep the field alive since. He continued searching for more opal and tried to sell what he had left, Charles Nettleton decided to walk back to White Cliffs early November, where the opal miner and dealer was gathering for daily deals. On the 11th of November 1903, he met the greatest opal merchant who offered him $30 for the parcel, a much better deal than what he's got earlier and all his hard work has paid off !! Sure he was more than happy to release all his opal in the end. 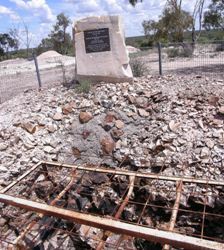 The first Black Opal mining shaft by C. Nettleton. 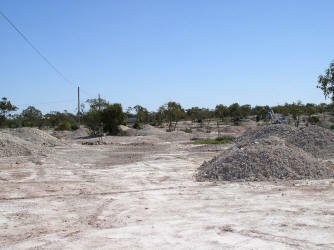 The greatest opal merchant was actually very delighted with the beauty of opal which Charles Nettleton has sold to him, he told his partners to buy as much as he could since - that has eventually sending him to Lightning Ridge, and so the Ridge's future has changed !